Peter Christen Asbjørnsen (1812 - 1885) was a Norwegian writer, scholar and collector of traditional folk tales. 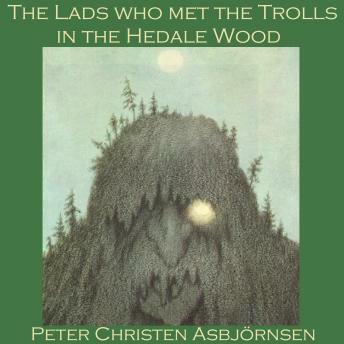 The Lads who met the Trolls in the Hedale Wood is one such folk story. Two teenage lads are stranded in the Hedale Wood overnight. Before long they hear heavy footsteps and sniffing. Three enormous trolls are on the scent of human flesh...how can they manage to escape?